Pretty Maple end tables with walnut inlay and walnut feet. 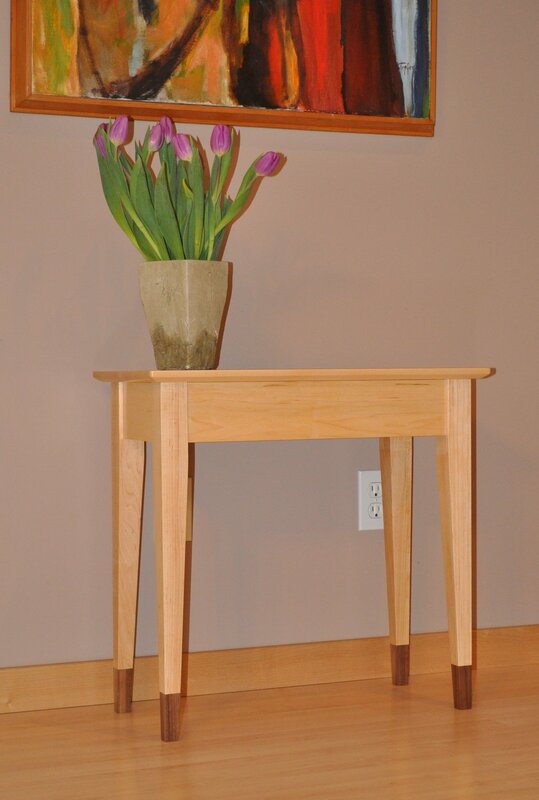 Shown in solid maple with walnut accents and inlays. Finished with lacquer and wax.